26 works Search for books with subject France. Parlement (Grenoble). France, Politics and government, Accessible book, History, Early works to 1800, Sources, Administration of Justice, Taxation, Estates (Social orders), Courts, Dauphine (France), Dauphine (France). E tats, France. Parlement (Normandy), France. 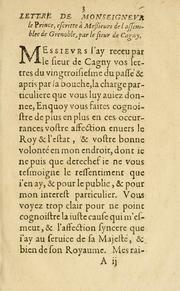 Parlement (Toulouse), Royal Prerogative, Condé, Henri II, prince de, 1588-1646., Constitutional law, Dauphine (France). Noblesse, Dismissal of, France -- History -- Louis XIII, 1610-1643. Are you sure you want to remove France. Parlement (Grenoble) from your list?